At school, Kaa'hina has been learning about the rich history of Ancient Kemet, and all the powerful deities that existed there. On a school trip, she and her friends visit the Museum of Ancient Kemet. As she explores the museum, Kaa'hina's Ankh chain starts to vibrate - the magical Ankh chain belonging to Grandma Pea, given to her in the first book in the series. Mysteriously, Kaa'hina's Ankh starts to float through the air towards an Ankh impression on the museum's pyramid. As it slides into place, and Kaa'hina touches it, the Ankh gives off a magical green glow and Grandma Pea appears. Clutching her grandma's hand, Kaa'hina is transported back in time, inside the great pyramid of Kemet, where she meets all her great grandmothers again. 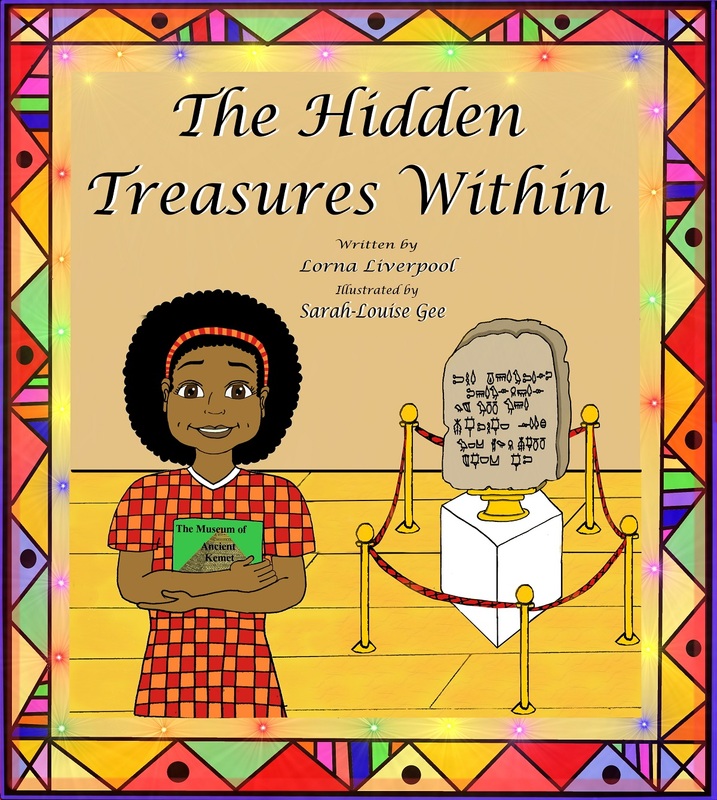 During her time in the pyramid, Kaa'hina enjoys a mystical adventure and is taught to find 'The hidden treasures within', those treasures that are in the minds of every child, and start with positive mental visualisation and trusting in yourself. Write a review of The Hidden Treasures Within. We will try our best to include your feedback on our website.